Seyfettin Gürsel'in Notları: Who needs whom? This assessment then became a popular leitmotif among Justice and Development Party (AK Party) circles. I do not know the arguments used by Mr. Bağış, except the usual rhetoric on Turkey's geostrategic position. Economic figures do not seem to support the minister. Geostrategy is significant, and certainly it is in Turkey-EU relations, but even a very favorable geostrategic position could not suffice to decide the fate of Turkey's EU membership. Nor would it be sufficient to explain Turkey's economic success. “Who needs whom?” is admittedly a complicated question to answer, since the global economy is global precisely because of mutual dependencies that exist between national economies. Nevertheless, it is possible to make some comments on these mutual dependencies in the search for any eventual asymmetries regarding mutual foreign trade and foreign direct investment (FDI) flows. It is true that the share of Turkish exports going to the European market declined remarkably in recent years. This share remained at around 60 percent until 2007 but decreased to 40 percent last year. The European recession is partly responsible for this decline, but the decisive factor has been an impressive increase in Turkish exports to other markets, particularly the Middle East and North Africa, where the share went from 13 percent to 34 percent in the last decade. But the European market continues to be the main destination for Turkish goods and a huge gap exists to Turkey's disadvantage in mutual trade. This means that if a mutual contraction of trade were to occur due to an eventual termination of the existing customs union with the EU, the Turkish economy would be much more adversely affected than the EU economy. As for the FDI flows between Turkey and Europe, they constitute a more critical issue. Turkey has a very high current account deficit (CAD) at about 6 percent of gross domestic product (GDP). Making sustainable this deficit in the future depends heavily on the level of FDI. At the moment, FDI in Turkey finances only one-fifth of the CAD, and three-quarters of the flow emanates from the EU. From 2007 to April 2013 the cumulative FDI total was $75 billon, and $56 billon of that was from EU companies. During the same period, Turkish companies invested approximately $16.5 billon abroad, and $12 billion of that was invested in EU countries. 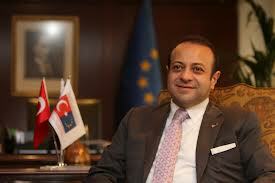 Before the negotiations for EU membership started in 2005, Turkey was receiving less than $3 billion in FDI per year. Then foreign investment jumped to $18-20 billon, thanks to Turkey's EU harmonization process. After the global recession, FDI inflows decreased by around $10 billon, but one can expect higher figures in the future along with the European recovery. In order to have a greater share in the world FDI pool, the Turkish economy must improve its attractiveness through a relatively high and balanced growth rate as well as a better investment environment and stronger competitiveness. Membership negotiations played a very effective role in this respect in the past, and they will continue to play the same role in the future. The reasons are obvious: Progress in membership negotiations makes the Turkish economy progressively closer to the EU economy in terms of law, property rights and European standards. Moreover, having a perspective of joining the EU constitutes a solid and confident anchor for Turkish democracy as well as for the stability of the Turkish economy. It is not certain, of course, that Turkey will become an EU member in the future, even if the negotiation process is successfully concluded. However, we can easily claim that the negotiation process itself is crucial for successful economic development. At the moment, there is no other alternative that could assume the role that Turkey's European harmonization process plays. I think that it would be better for Turkey to focus on economic and political reforms that will keep it on the European track, but at the same time and paradoxically, will make it less dependent on the EU if its economic fragilities can be addressed and its democracy solidified during the negotiation process.